THE USA TODAY TOP 1OO BESTSELLER YOU WON’T WANT TO MISS! The high chair lay on its side, a toy elephant and a crumpled green blanket scattered across the floor beside it. When Detective Josie Quinn is called to a large house on the outskirts of the small town of Denton, she’s horrified by the viciousness of the attack – smashed glass, splintered furniture and blood spattered across the floor. The owner, a single mother, is fighting for her life, and her newborn baby is missing. Should she risk the life of one child to save many others? Or can she find another way to stop this killer before any more innocent lives are taken? Nail-biting, twisty and impossible to put down. If you love gripping thrillers from Angela Marsons, Robert Dugoni and Rachel Caine, you’ll be absolutely hooked! 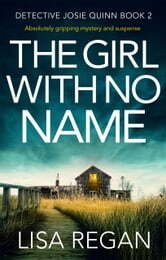 The Girl With No Name is the second book in a series following Detective Josie Quinn by Lisa Regan. This book should come with a warning on how difficult it will be to put down. Some edge of the seat pages. Ms Regan does an excellent job of making the reader feel a connection to Josie. 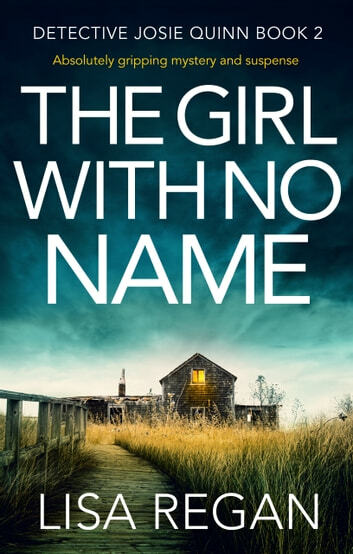 The Girl With No Name is a stand alone story. I was given an early copy to review. After reading this book I bought all of Lisa's books and haven't been disappointed. She writes well and keeps you enthralled to the end! Lisa Regan was sitting at a loom WEAVING away all the twists and turns in this CRIME novel. Second in the Josie Quinn series and although it would probably flesh a few characters a bit more the story reads fine as a stand alone too. Jose is the Chief of Police with a "I AM GOING TO GET YOU" attitude along with a staff of loyal and gutsy detectives. Deaths are mounting up and author presents a number of potential killers. Steady paced drama but the last ten percent of the book was amazing. I have another one of Regan's books in my library and can't wait to get started on it. "A copy of this book was provided by Bookouture via Netgalley with no requirements for a review. Comments here are my honest opinion."